The bottom line: a flooded basement can jeopardize your health, safety, and your home’s integrity. It’s worth making a call to SERVPRO of The Attleboros and let our trained, professional crews handle the situation safely and correctly. We have earned the trust of hundreds of homeowners, business owners, and property professionals. At SERVPRO of The Attleboros, we understand that your home or commercial facility contains many of your most valuable possessions. When a loss or damage takes control of your life, we help you take it back. For this week’s blog, we will focus on the three types of contents services that our professionals provide. One of the first priorities in fire restoration is to complete an accurate inventory to help ensure you can properly account for all your belongings. 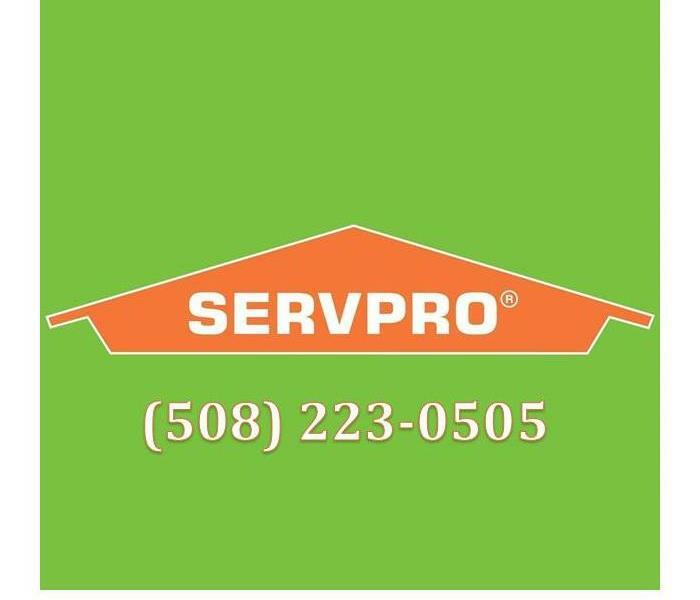 SERVPRO of The Attleboros can provide a detailed room-by-room inventory of contents, including digital photographs and bar codes for each item, suitable for filing insurance claims forms and relieving you of this often stressful and time-consuming process. When the structure has suffered extensive damage, the cleanup and restoration process may need to be facilitated by relocating the contents for cleaning, deodorization and storage while structural repairs are being completed. A supervised moving crew can carefully pack and move the entire contents of your home or office. All of the restorable contents in affected areas will be professionally cleaned and deodorized. This includes area rugs, furniture, draperies, and upholstery. Our franchise professionals begin by carefully inspecting and testing all fabrics in the structure to determine which cleaning methods are most appropriate. We provide wet or dry cleaning. Additionally, all the other restorable contents will be cleaned and deodorized to as near as preloss condition as possible. This includes electronics, art, wood furniture, kitchen items, clothing, bedding, bric-a-brac and much more. Ted and Doris Isaacson launched SERVPRO in 1967 as a painting business in Sacramento, California. With a background in cleaning and restoration, Ted and Doris soon transformed the company into a franchisor of cleanup and restoration specialists. Nine years later, SERVPRO relocated the corporate headquarters from Sacramento to Gallatin, Tennessee. At the time, the SERVPRO system consisted of 647 Franchises. SERVPRO Corporate quickly became a key contributor in its community, and in 1991, the Nashville Business Journal name SERVPRO the Small Business of the Year. In the meantime, the company continued its impressive growth, selling the 1,00th Franchise in 2000. In 2005, SERVPRO moved to a 140,000 square-foot, state-of-the-art facility in Gallatin to provide more room for expansion. Today, there are more than 1,700 Franchises operating nationwide. The need for experienced, trained, and professional cleanup and restoration experts is recession resistant, and the growth potential inside of a proven system presents an opportunity for prospective Franchisees. 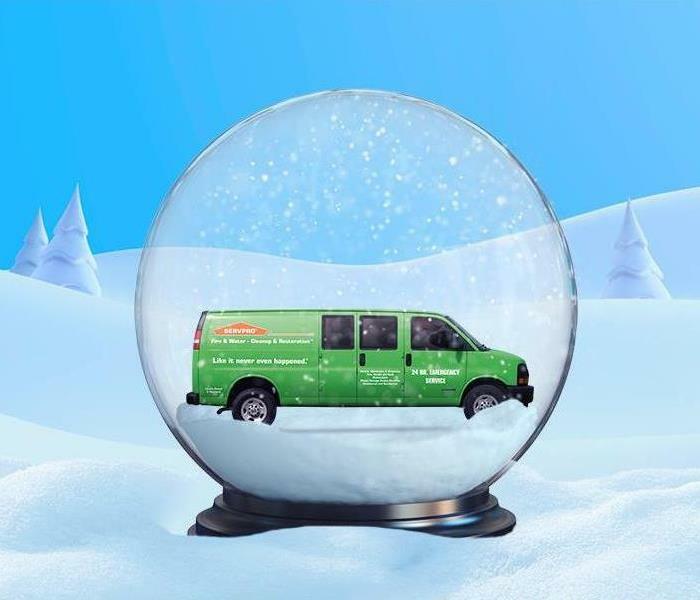 With a proud history, a successful present and bright future, SERVPRO will continue to press on toward becoming the premier cleaning and restoration company in the world. Slips, trips, and falls are a common cause of accidents and injuries. 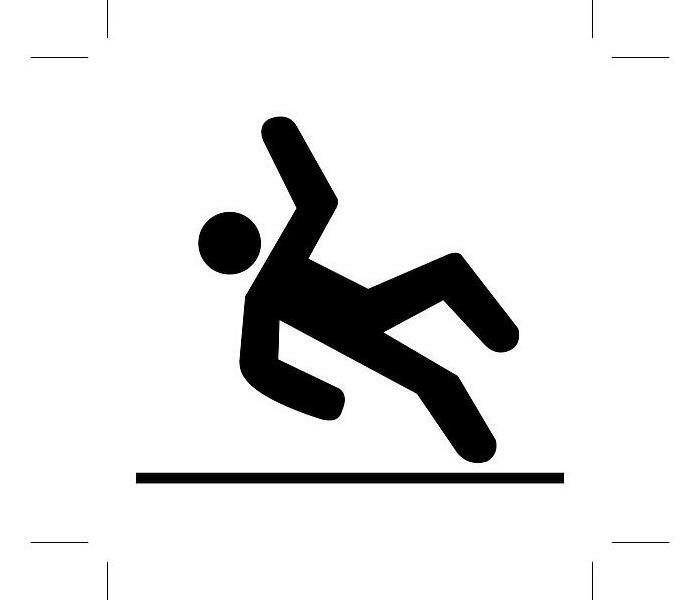 Most slip or fall accidents can be prevented by following some simple preventative measures. Inspect a fire-damaged building for potential slippery surfaces and tripping obstacles; then apply safety measures to prevent an accident. People sometimes do not think about the potential hazard of walking on slippery surfaces. Wet floors are slippery. A dry floor may pose a hazard if a surface nearby is wet (for example, someone walking across a wet carpet, gets their shoes wet, and then walks onto a hard surface floor and slips). Use signs to warn people when floors are wet and slippery. Many people do not realize that soot residues deposited on tile flooring is also a potential slippery surface. Structures that have been damaged by fire can present various kinds of trip and fall hazards. Keep floors, walkways, and aisles clean, dry and free from protruding nails, splinters, loose boards, holes, or projections. Cover holes in the floor or mount a temporary guardrail, so people do not accidentally trip or fall. Equipped with the necessary safety apparatus and cleaning products, we can help transform these unhealthy environments back into clean and safe, homes and offices. How long have you been exposed to the contaminant? Is it a flood? Did you know that floods can contain sewage and pesticides, among many other things? What activities are safe for you to perform? Although these are just a few of the many questions you should be asking yourself when a bio-hazardous situation occurs, we have the professionals capable of transforming any dangerous situation into a safe and conducive living environment. If you have any questions or concerns, please give us a call at (508)-223-0505 or visit our website. A frozen pipe can burst at the point where the ice blockage inside the pipe is located, but typically the rupture is caused by the back-flow of pressure between the water source and the blockage. A broken pipe can cause considerable damage to your property, if not addressed quickly. Ice dams can be a major problem during the winter season. They form when heated air melts snow on the roof downward into water dammed behind still-frozen ice. When the trapped water cannot safely flow or run into the gutter system, it can back-flow under the roof's shingles and into the structure's interior areas. A "puffback" is a messy furnace malfunction that occurs when an oil burner backfires, sending soot throughout your home or business. It can happen all at once, covering an interior in grimy soot, or a puffback can leak soot particles more gradually. Help prevent the spread of flu germs. Homes and businesses can depend on their local SERVPRO Franchise Professional to clean and sanitize building materials, surfaces, and contents following restoration industry standards, using professional cleaning products and EPA-registered cleaners and disinfectants. 3/28/2019 - We Specialize in Water Cleanup! 3/13/2019 - Slip, Trip and Fall!